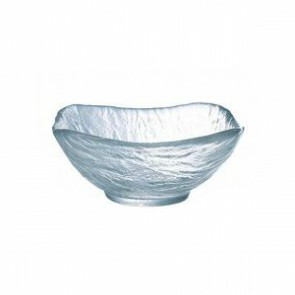 Discover our range of functional and esthetic dessert bowls: an essential table accessory. Glass or porcelain cup, used for the presentation of your appetizer, desserts or ice cream. These bowls are available with different shapes and design to enhance the presentation of your most decadent sweet threats. More appealing that the traditional plates they are perfect to serve your chocolate pudding or your mini fruit triple, your strawberry tiramisu or a quick raspherry cream in style! And why not use them as a dip bowl? 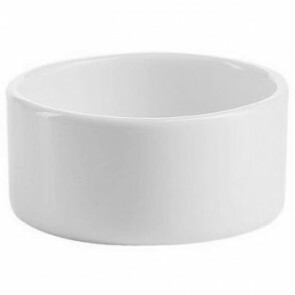 This usually stemless container usually provided usually comes with a round shape but you also find less conventional designs like the half moon bowl or elegant bowls with a short stem. It can be called dessert cup, dessert saucer or simply small plates. Tableware brands feature a whole range array of different bowl sets for an original customized décor: bold decor, so you can customize your decorations as you set up your table. Square, rectangular, round or oval cup, porcelain or glass dessert bowls choose the dessert serving bowls which best suit your needs! 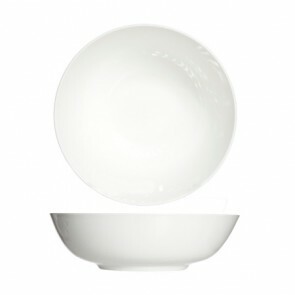 Glass dessert bowl or porcelain cup, which model to choose? 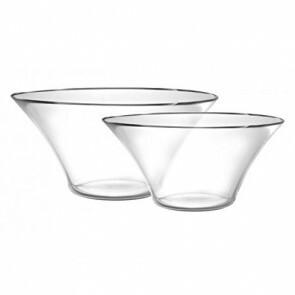 Whether you are looking for cups for serving your appetizer or desserts: you will find various models in different materials such as glass, pressed glass sandstone, arcopal or porcelain on AZ Boutique. These dessert containers will sure bring an elegant flair or a festive look to your table. Serving your appetizer and sweet sensation in these small bowls will sure give restaurant-style presentation to your desserts! At tea time, surprise your guests with a banoffee pie, a brownie triffle or a crème brûlée served in an oval dish! If you want to show the different layers of your dessert glass is perfect! Looking for an original way to present your appetizers? Choose a colored sandstone or porcelain bowl from the Cozy & Trendy brand. 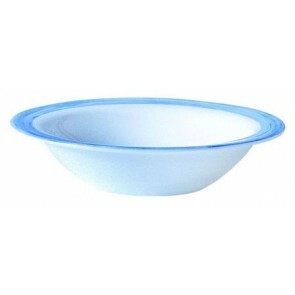 You will also find colored polycarbonate Mepra dessert bowl. They will coordinate with your dessert plates or presentation plates, to glam-up your decor. If you want to give a sophisticated timeless charm to the appetizer time, choose the glass or porcelain cups from La Rochère, Pillivuyt or Guy Degrenne brand. Arcoroc features a whole a range of pretty stackable bowls for convenient and easy storage! The dessert container: a versatile trendy accessory which turns your sweet treats into masterpieces! This kitchen accessory can be used as a container for your sugared almonds for example to decorate your centerpiece at a wedding or special gathering. What better better to beautify a peanut butter pudding with whipped cream topping or a vanilla custard with strawberry than to use these dessert dishes? They will sure look as a real culinary masterpiece! If you are a table scaping lover they are an absolute must own! If you are more creative, you can play on several colors for to give a colour splash to your tabletop. Some colors specially blend perfectly, such as pastel blue and mint green. You can even add white to decorate your room decoration and that of your table. Also think about coordinating your dessert flatware with your glassware, napkin and table linen. 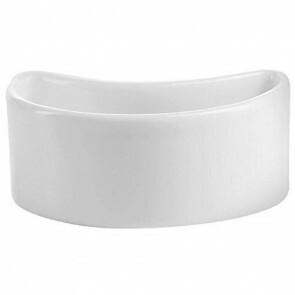 This sturdy dinnerware item is perfectly dishwasher safe. 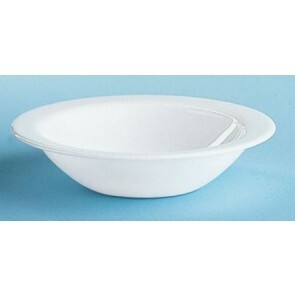 But be careful some materials are not microwave-oven safe, so pay attention to the technical characteristics of the material of your dessert bowl. AZ Boutique features a wide selection of bowl for your desserts and other delicacies. These cups will complement wonderfully your table setting! And the best part if our prices are very affordable! 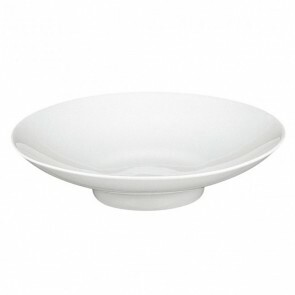 Also find in our tableware section a whole range of serving dishes, pasta bowls. soup bowl, cereal bowl, ice-cream bowl set, original swirl dessert glass, appetizer plates, salad bowl, dinner plate, soup plate, the dessert plate, the bread plate and a selection of special plates.